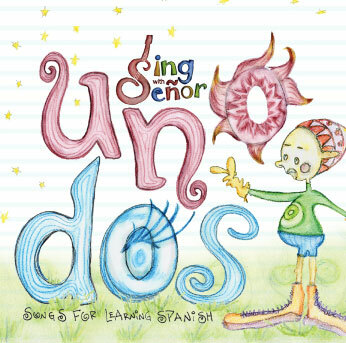 Sing with Senor music teaches the basics of Spanish Language through simple lyrics and infectious melodies. They have developed their songs for not only teachers and students, but for parents and children to enjoy learning or teaching the language in a fun and creative way. Sing with Señor is an idea born years ago while Felipe Canete was teaching Spanish to middle school students in Seattle, WA. Having realized that a lot of the songs used to teach Spanish were traditional music from different countries in South America, he wanted to introduce art into his teaching and one day, inspired by his students, started to play the guitar and wrote an original song for the students. They loved singing the song and then asked to make more. It was clear that the students were learning while expressing themselves through songs that they could sing and through simple lyrics that they could follow. He started to write songs that would fit the curriculum but at the same time would be fun and catchy to sing. Felipe has a degree in business and works as a professional actor and musician teaching theater and Spanish in different schools in Seattle. 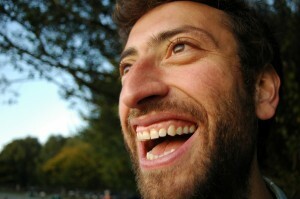 He is also a member of a Seattle world band called Luc and the Lovingtons. He started to develop his artistic career when, as a child, he participated as a singer and dancer in different local festivals in Chile. 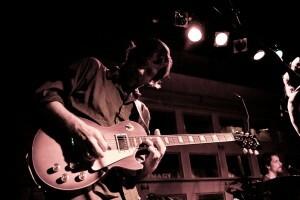 Soleil is a musician and producer from the Methow Valley, WA. He is a talented, versatile, multi-instrumentalist that wishes he had catchy songs to learn Spanish with as a kid. When he’s not performing with Luc and the Lovingtons, Soleil is a full time musician, crafting his own music and producing the music of Seattle’s local talent. This was a fun CD that was both educational and toe-tapping. As my wife was a Spanish Teacher for a few years and we try to incorporate Spanish into our daughters lives, this was a great addition to our family routine. The songs truly are infectious and after only a few times I noticed that the kids were singing along and asking us to play it more (which is always a good sign). If you are looking for a fun, inobtrusive way to introduce Spanish into your childs' life, this is a great way to start. The music is fun to listen to and your kids will simply love it in the end! My family feels exactly the same way. We also find Felipes Uno Dos Cd infectious and love listening to it. My 7 year old listens to it over an over. His school also has a copy and they are using it there in their spanish class. The kids love it. We were fortunate enough to see Felipe and Soleil perform this CD in the Methow and the energy was fantastic. They are both such naturals with children and the kids respond to them wonderfully. Valentine’s Day DIY gift ideas! Book Review - Where on Earth Am I? How much do parents spend on toys? HGTV Mag Feb/March Issue is on Stands Now! Book Review - Where's the Meerkat? School of Rock Opens First Metal Camp! New Video From the Fresh Beat Band! Bookazine - Eating Light 400 Calories or Less!